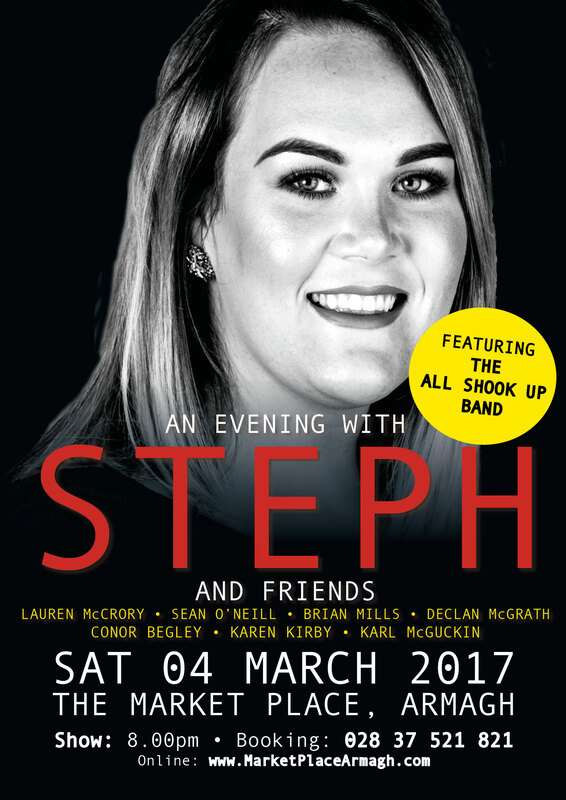 An Evening with Steph & Friends, due to high demand is coming to The Market Place Theatre, Armagh on Saturday 04 March having sold out two nights at the Bardic Theatre, Donaghmore. The show has been recently updated to include new material never before heard performed by Stephanie and will include some new guests fresh from Bardic’s recent production of All Shook Up, also directed and produced by Stephanie. “There’s Always Me” is a ballad written by Don Robertson and made famous by Elvis Presley when he recorded it in March 1961. It was Stephanie’s ‘big ballad’ number in All Shook Up and today viewers can watch a live video that has been recorded from the show. Guests including Conor Belgey, Brian Mills, Declan McGrath, Karen Kirby, Karl McGuckin, Lauren McCrory and Sean O’Neill will all drop in to have a chat and perform a number or two with Stephanie just like it’s your own front room. Stephanie’s catalogue of material on the evening will include a range of genres from pop, rock, funk, folk and Irish artists. Bands like Queen and Elvis Presley to a show tunes from Blood Brothers, Sound of Music, Little Shop of Horrors to Les Miserables and RENT all being paid their fair due.